WASHINGTON—According to an alarming report published Monday in the Journal Of Applied Physiology, three quarters of a million Americans die annually during their first attempt to get back in shape. “We found that, each year, about 225,000 out-of-shape Americans collapse and perish within the first three minutes of attempting to start jogging again, with most typically not making it to the end of their own block,” said study co-author Kathy Lyons, adding that a further 60,000 Americans who decide to improve their health by swimming laps succumb to overexertion every year and sink to the bottom of the pool and drown after just a few strokes. 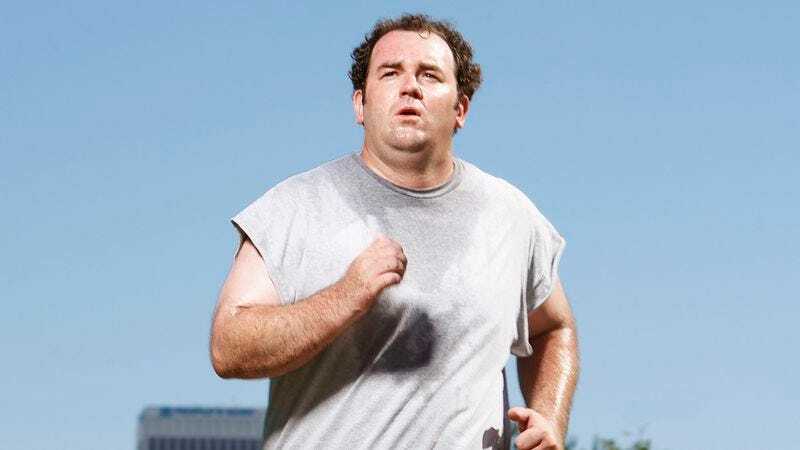 “Perhaps most troubling, our data show that 60 percent of Americans who commit to regaining their former level of physical fitness by hiring a personal trainer at a gym drop dead almost instantly during their first abdominal crunch. And another 30 percent die while stretching before they even begin their workout.” The study further noted that, of the Americans who managed to survive their first attempt at exercise in years, nine in 10 suffered from debilitating pain for the rest of their lives.